Want to get more Google reviews? You know the legal risks of using customer incentives. Here are some smart strategies. Access to the internet has changed the way consumers shop. A whole world of new sellers and companies have opened themselves up to shoppers. And access to information on these companies has made consumers more eagle-eyed and discerning. How do you make your business stand out in such an environment? Create a good online brand for yourself. Potential new customers inevitably will Google your business before deciding whether to visit your store or not. If they find a wealth of positive Google reviews online, they're much more likely to stop in then if they do not. But how do you get more google reviews if you're lacking? You don't want to seem desperate or give the impression you're pressuring customers to review you. We'll walk you through some smart strategies to increase your online standing below. A large majority of consumers trust online reviews just as much as they trust recommendations from friends. As such, it's important that you stay on top of reviews where ever they appear online. If you're not familiar with the world of online reviews, that may be hard to do. You first need to know where to look. There are three big online sites that need to stay on top of. They are Google, Yelp, and Facebook. If you haven't, it's important to find and claim ownership of your business on these websites (or create a page for yourself if one doesn't already exist). Regularly monitor reviews as they come in on these sites. Consumers love it when businesses are responsive, so take a little time at the end of each week to fire back a ‘thanks!” at positive reviews and apologize to any negative ones. On Yelp and Facebook, responsiveness and response time is actually a metric that is tracked and shared with page visitors. Better scoring on these metrics could mean a better chance with new potential customers. 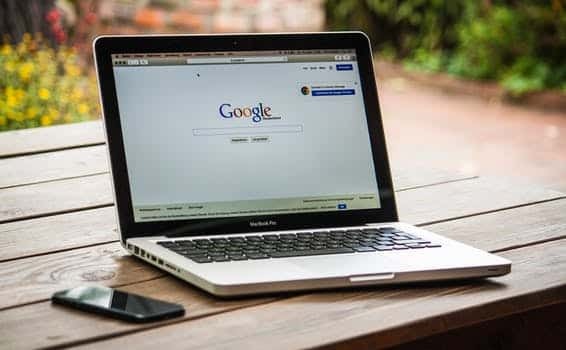 When you claim your business on Google, you'll want to triple check that all of your business' info is up to date and accurate. In addition to reviews, this is also where most people will look for directions and contact information. In directing new and happy customers to review, these are the places online you'll want to keep in mind. People are busy. In fact, most people in the UK and around the world feel busier now than they've ever been. As such, you have to understand that asking someone to take the time to review your business is a big ask. Instead of hoping people take the time out to leave a positive review, consider incentivizing the choice. Give them a reason to get online and write some kind words. Discount or coupon codes are a great way to encourage customers to start reviewing. If you run a coffee shop, offer a free cup of coffee for a review. If you run a clothing store, give a ten per cent discount. These small incentives will help get more google reviews online and build a stronger reputation for your business. Strong reputation means more people coming in the door. You'll find that the cost of these incentives are far outweighed by the potential profit they can bring in. Some consumers may love your business but don't realize how much a positive review could mean to you. There's no shame in asking a consumer to leave a review for your business, especially if you do it at the right time. Following a positive business interaction, whether in virtual or in-person, it's totally acceptable to ask the customer if they'd be willing to leave a review. Just because you ask doesn't mean the consumer will, but a simple prompt actually can remind many customers to leave a positive word. In person, remind or prompt a person at the end of their check-out transaction. If online, prompt them when they order, re-purchase, or subscribe to your social media or e-mail list. You want to avoid prompting this ask during the wrong moments. If a consumer is focused on finishing a transaction or still seeking what they want, a reminder to review your business is likely to be seen as an annoying interruption. Asking at the wrong time might actually result in a negative review instead of a positive one. The easier you can make the review process for your customers, the more likely they'll be to actually leave one. Leave instructions printed on your receipts. Include appropriate hyperlinks in your e-mails that bring consumers right to where they need to go. Even copying instructions directly from Google Business, Yelp, or Facebook can help clarify to customers what you need them to do. Possibly also highlight how quick the process can be. Mention that leaving a review only takes one minute. The easier you can make the review process seem to a consumer, the more likely they'll help you out and leave one. If you leave them to try and figure out how and where to leave a review on their own, they might never get around to it. This is due to the perceived degree of effort involved. Positive online word of mouth can be one of the most important factors for a new business. A reputable online presence can make new customers eager and excited to come into your store or purchase a good online. With the above tips, you can get more google reviews and begin to bring in new customers to your business. Need more advice on creating a reputation for your small business? Check out our blogfor more.